Pipelight, a project that allows you to install Silverlight to any Linux browser that supports the Netscape Plugin API (Firefox, Chrome, Midori), allowing you to use video streaming websites such as Neflix, has been updated yesterday, getting Widevine support and Linux windowless mode. For those not familiar with Pipelight, this is a WINE browser plugin that was initially created to allow you to access services that require Microsoft Silverlight such as Netflix, LOVEFiLM, Maxdome and more, using native Linux web browsers. The plugin has evolved and besides Silverlight, it now allows using the Windows Adobe Flash Player in Linux browsers and, with the new 0.2.4 release, it also adds Widevine support. 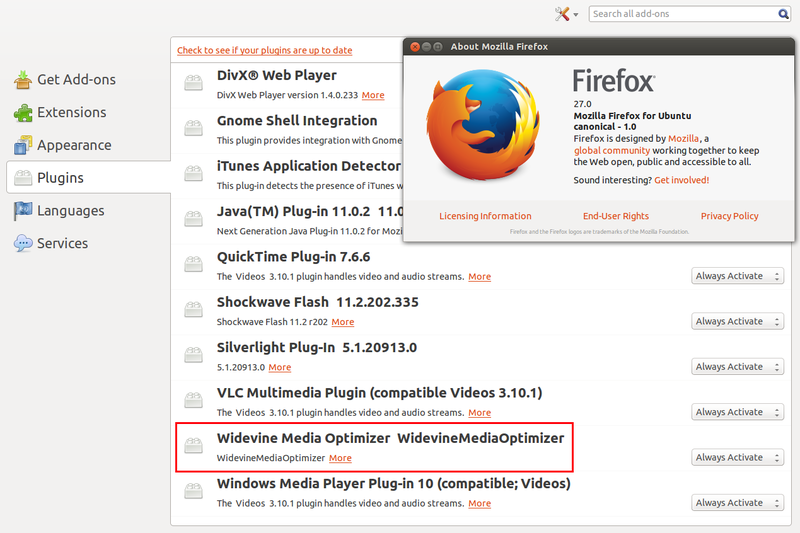 Widevine is a browser plugin designed for viewing premium video content, used by websites such as HBO Go, Cinemax and many others. It is currently fully supported only on Windows and Mac OS X. On Linux, Widevine is bundled with Chrome browser but it's not largely used by websites as it's only compatible with a single browser. "The plugin itself does not work standalone and instead just offers DRM capabilities to the normal Flash plugin. While the Widevine plugin itself does all DRM related stuff like key exchange and decryption, the rendering is still done by the normal Flash plugin. Pipelight allows you to combine Widevine with either Windows, Linux or Pepper Flash." Another change in the latest Pipelight 0.2.4 is the addition of Linux Windowless mode support, required by some Qt based browsers or browsers which do not support overlaying of normal windows like the OpenGL based Steam browser. Currently it's not recommended to use this mode if it's not necessary because it doesn't use hardware acceleration on it's own. Pipelight 0.2.4 also introduces various speed improvements for Silverlight, especially for slow systems that were not able to rach the full frame rate and more.